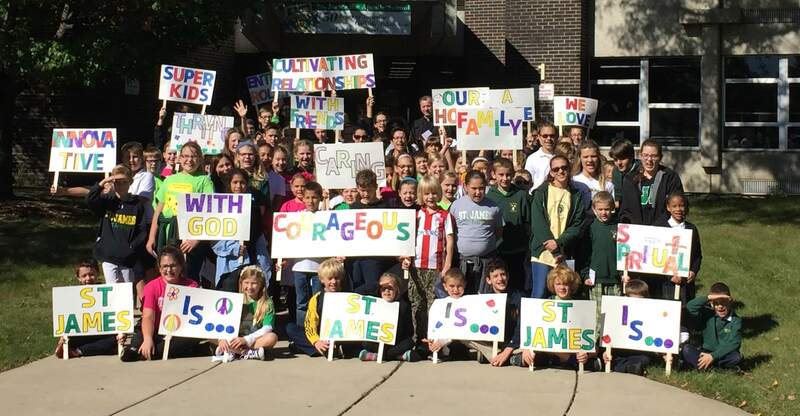 The St James Student Council recently held an Out of Uniform day to raise money for the Catholic Education Foundation’s campaign, Move Your Feet, Give a Child a Seat. 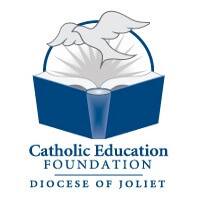 The CEF is a major supporter of Catholic education and sponsors scholarships to students at all 47 Diocesan elementary schools. 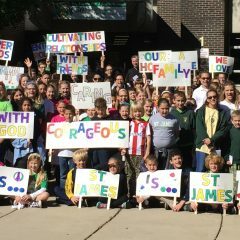 On October 14th, our students walked the neighborhood singing, smiling and representing St. James with pride. After the walk , our 2nd Graders led the entire school in a rosary prayer service.